Great location & nice staff. 24 hour coffee and tea was a nice bonus! 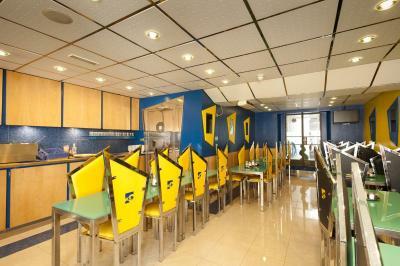 it was clean, very friendly and helpful staff, ok breakfast, very good location. The staff member at the desk was extremely helpful. The staff in the kitchen during breakfast were very welcoming. The breakfast and room were great. I slept well I appreciated the air conditioning in the room. Friendly and helpful staff. Andreas was great. All the staff managing the breakfast tables were great. Very good breakfast. Finally, the location was great. Very close to Paddington station, the big bus stops just a few meters from the hotel. Room was cleaned everyday, sheets and towels were changed daily, which was great. 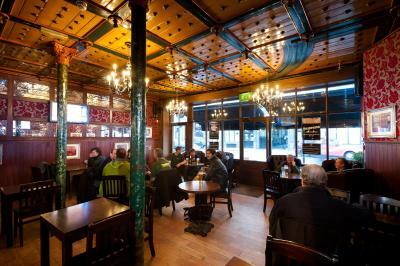 Polite and friendly staff, clean in all areas and a lovely breakfast. The free drinks at the pub was a nice touch aswell! Will definitely stay again! I arrived about half an hour early, and reception told me my room wasn't ready (it was in the basement and the staff cleans from top to bottom), but they did have one of their new rooms available for 10 pounds more if I wanted to upgrade. I figured I'd try it out, especially since the room came with a kettle instead of only having tea downstairs (I like to be able to relax with a cup in my room when traveling). The room was very nice and had a lot of extras, like a smart TV and choose-your-own-color ambient lighting. I loved the brick wall (and the padded area so I didn't bump into it!). I only stayed one night, but I'd definitely stay again if I needed a place near Paddington Station (very short walk away!). decent breakfast. good location. bed was comfortable enough. interesting decorations, neat lighting. 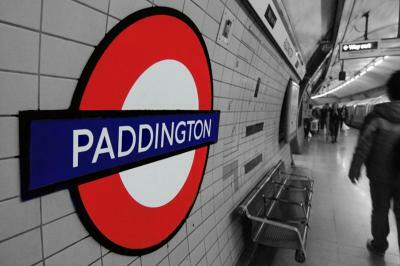 I did a lot of research on hotels around the Paddington station area. I chose Stylotel based on photos, reviews and description. I was very happy with my choice! The lobby is very nice! The manager who checked us in was friendly and helpful! 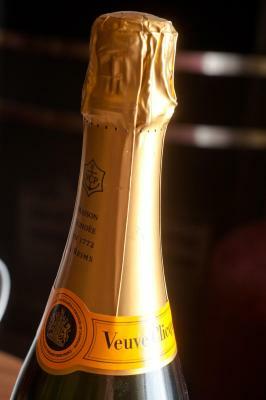 The drinks available are an added bonus. The rooms are tiny, but that was expected. 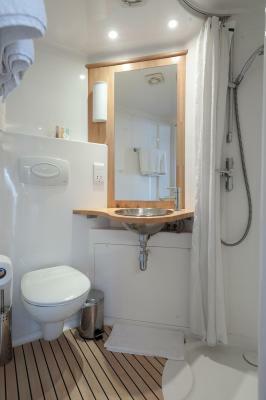 The bathroom is extremely tiny, but works and was clean. The room was very 'space age' which was cool. I liked that it had two twin beds that could convert to a king. Very hard to find in the UK. The breakfast was fresh cooked and delicious! Everything was clean and the location was perfect. Location was perfectly centralized and easy to find. Stylotel This rating is a reflection of how the property compares to the industry standard when it comes to price, facilities and services available. It's based on a self-evaluation by the property. Use this rating to help choose your stay! 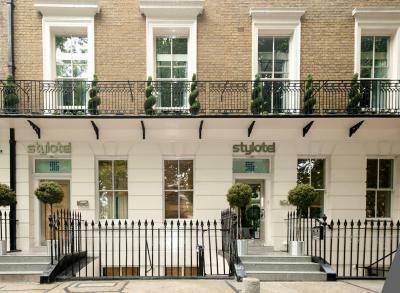 Just a 5-minute walk from Hyde Park, Stylotel is a state-of-the-art property set between 2 19th-century townhouses, with ultra-modern, contemporary rooms. 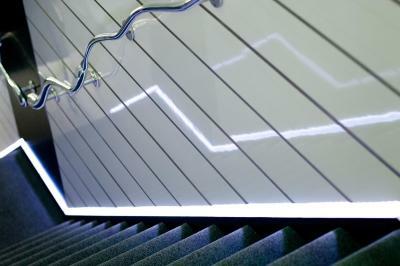 Oxford Street is a 15-minute walk away. 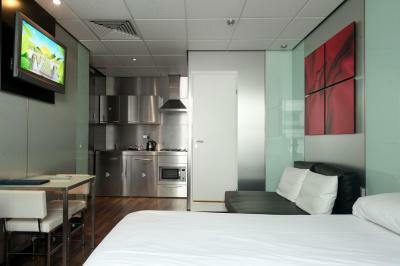 Each stylish room features satellite TV, a work area and is soundproofed. 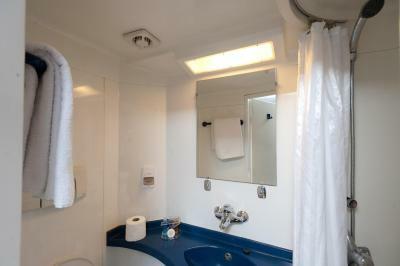 The luxury private bathrooms include a walk in shower and hairdryers. 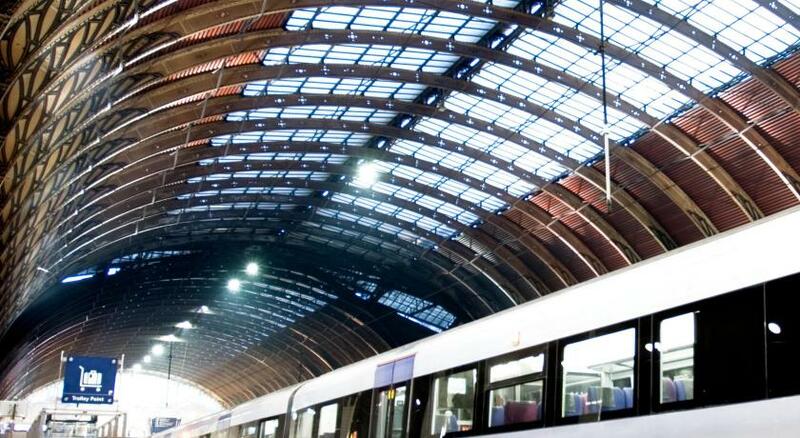 Stylotel is just a 2-minute walk from Paddington Station with its direct rail link services. 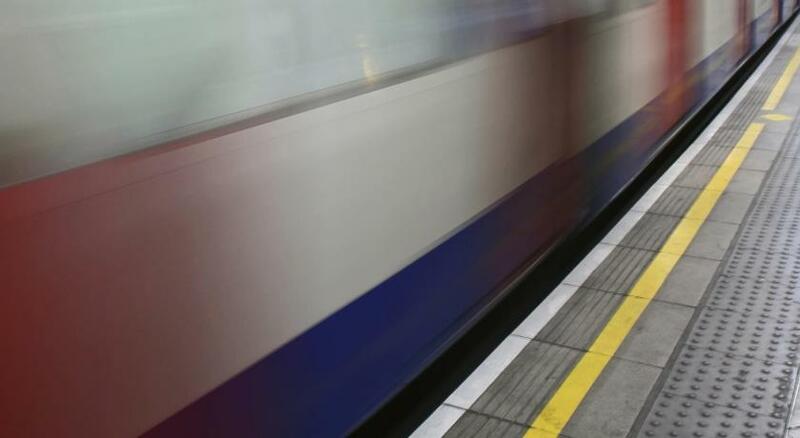 The Heathrow Express to Heathrow Airport is accessible as well as many other national train services and access to 4 tube (subway) lines. 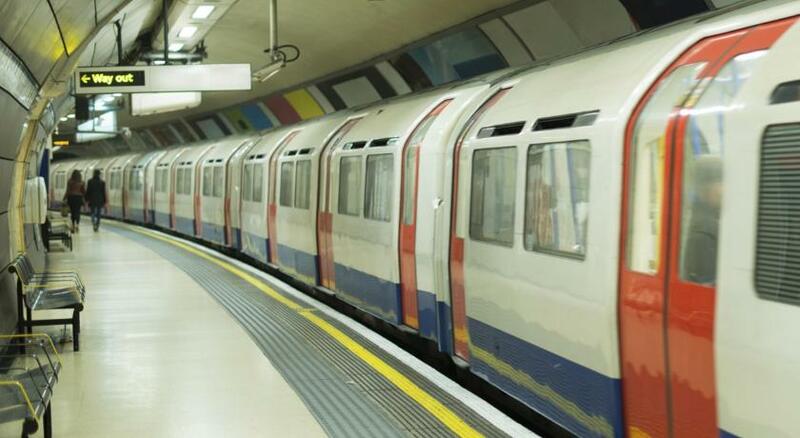 A 10-minute bus or tube (subway) ride away will bring you in to the heart of London. Piccadilly Circus, Leicester Square and Soho are thriving with bars, restaurants, clubs and theaters. When would you like to stay at Stylotel? 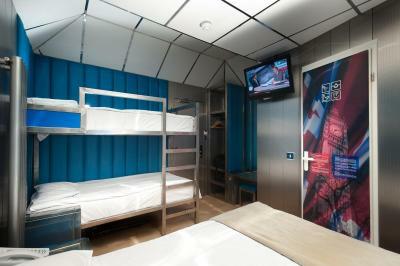 The double Styloroom includes a private bathroom, air conditioning, satellite TV and hairdryer. 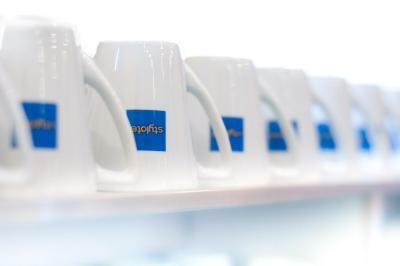 Tea/coffee is provided free of charge 24hrs/day in the lounge. 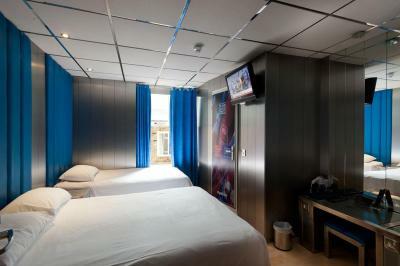 The Triple Styloroom includes a private bathroom, air conditioning, satellite TV and hairdryer. Tea/coffee is provided free of charge 24hrs/day in the lounge. 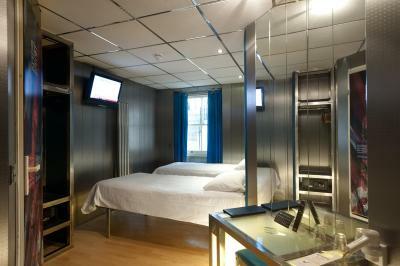 The Tetra Styloroom includes a private bathroom, air conditioning, satellite TV and hairdryer. Tea/coffee is provided free of charge 24hrs/day in the lounge. 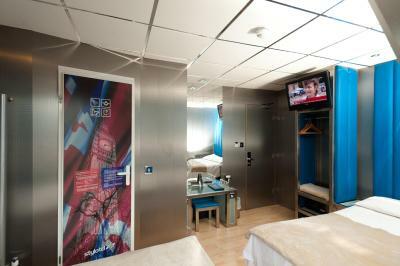 The Twin Styloroom includes a private bathroom, air conditioning, satellite TV and hairdryer. Tea/coffee is provided free of charge 24hrs/day in the lounge. This room has one single bed and can only accommodate 1 person. Guests can enjoy the room's contemporary design, which includes aluminum wall coverings, hardwood maple-effect flooring, ceiling-to-floor mirrors, upholstered headboards and stainless steel with illuminated glass furniture. Additional amenities include a private shower and toilet, air conditioning, satellite TV, a direct dial phone, modem port, hairdryer, reading lights, dresser/desk, wardrobe, power outlet, shaver outlet, central heating, double glazing and sound proofing throughout. Spacious rooms featuring an large wardrobe, fully equipped kitchenette, lounge area, luxury private bathroom, and air conditioning. Luxury suites with cherry oak floors, air conditioning, a luxury private bathroom, a fully equipped kitchenette and a separate lounge area with a glass sliding room divider. 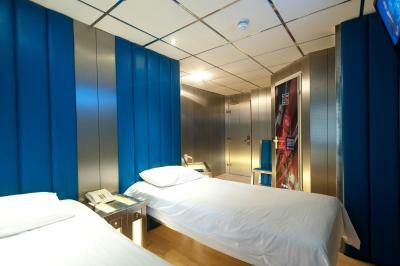 The Trio Styloroom has 3 single beds and includes a private bathroom, air conditioning, a satellite TV and a hairdryer. Tea/coffee is provided free of charge 24hrs/day in the lounge. 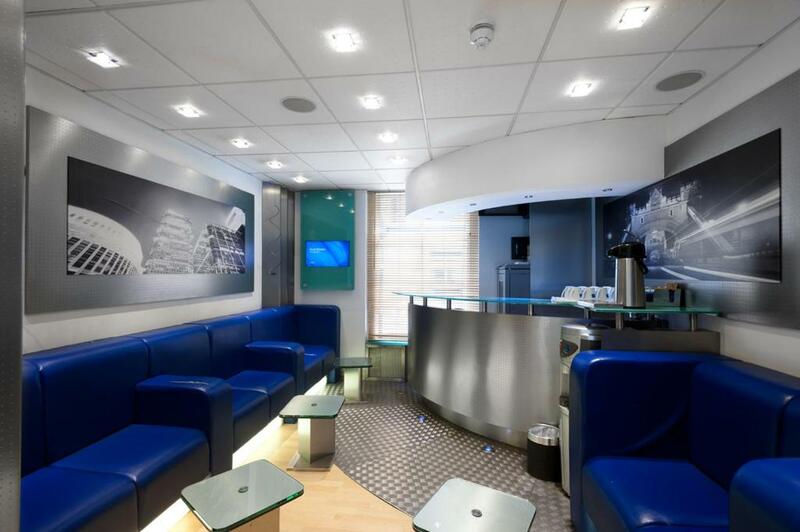 The Quatro Styloroom includes a private bathroom, air conditioning, satellite TV and hairdryer. Tea/coffee is provided free of charge 24hrs/day in the lounge. House Rules Stylotel takes special requests – add in the next step! One child under 6 years is charged GBP 20 per night when using existing beds. Stylotel accepts these cards and reserves the right to temporarily hold an amount prior to arrival. A deposit equal to the cost of the first night will be charged on the day of booking. If a booking is canceled in line with the cancellation policy, the deposit will be refunded within 10 working days. Please note that all charges and refunds are made in British Pounds and if you use a card that is in a different currency, the amount you pay may be slightly different from the amount you get back depending on the currency exchange rates at the time the transactions are processed. 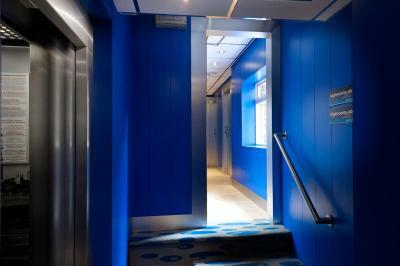 There is an elevator in both buildings but for some rooms, you may have to use one flight of stairs. When booking more than 4 rooms, different policies and additional fees may apply. Groups of school children under 17 years old are not accepted. Please inform Stylotel of your expected arrival time in advance. You can use the Special Requests box when booking, or contact the property directly using the contact details in your confirmation. Room was so small had to keep one suitcase under the bed in order to get to the second bed. the room was very very small, claustrophobic, one small window facing the reception on ground floor so you could not keep the curtains open, terrible! 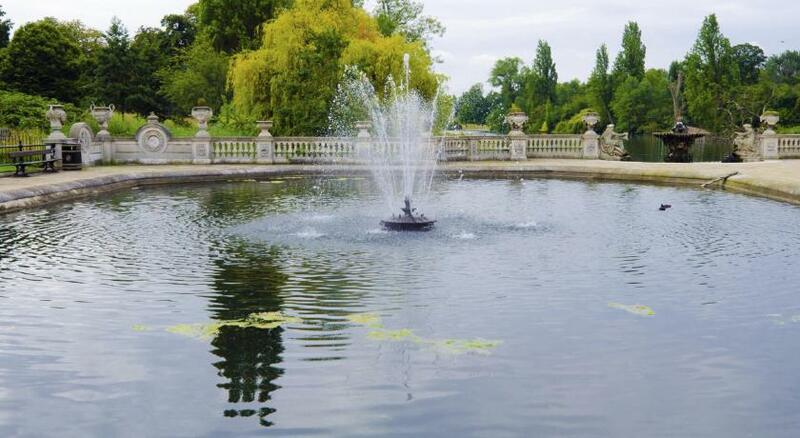 A good hotel with small rooms The price is ok. London hotels are always very small and not very comfortable. The price and the comfort is better than at some 4 stars hotels in London. 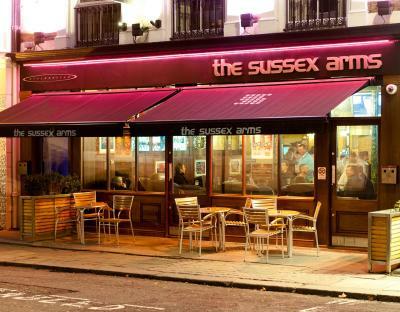 The location is good - It's close to paddington station. Check your credit card. Charged me after stay 3 times for unknown reasons. Water not really hot enough for a good cup of tea. Great location. Really friendly and helpful staff. Looked after our bags for free. I am not convinced of the overcharge for one of the rooms even though they look alike but the admin staff say they are different. My room had a very bad smell it was terrible nights. 1. No Gluten Free Bread Facility. 2.My room was on 3.5 floor and Lift only goes to the Integral floors i.e., 1,2,3.... etc. It was ok for me but people with heavy suitcases could find it a little hard to ride the small staircase from 3 to 3.5 floor. 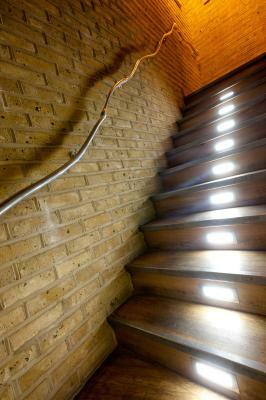 3. round staircases in between integral floor numbers are not wide much. 4. Lift only supports max 3 persons. 5. No Kettle in rooms, if you are suffering from sore throat and need warm water, you have to come downstairs. 6. I would much appreciate if they could provide a power point near the bed tot charge mobiles. 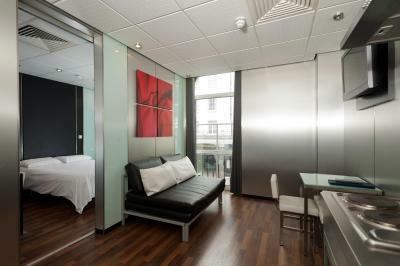 It is the best hotel in reasonable price I have ever been in London. 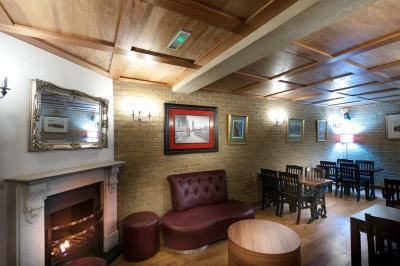 Interior: Brilliantly renovated. Everything so much stylish and cleanliness exceeded my expectations. Lift is small but good. Unlimited Tea and Coffee downstairs. Excellent Location. Very Friendly staff. 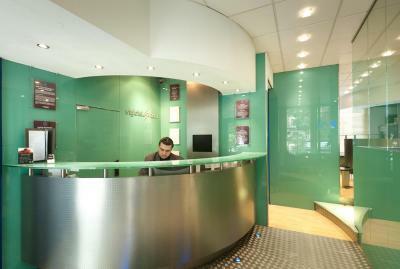 The reception area is comfy and bright. Air Condition+Heater was ok, the toilet and shower were big. 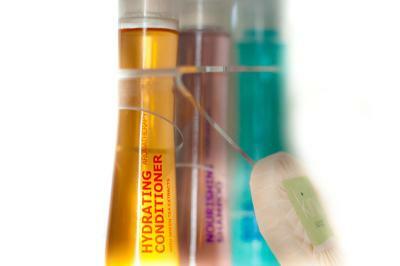 Good Quality Toiletries. One day there was no hot water and bathroom is very small. We lived in studio apartment. It was very small and in the kitchen there was no sharp knife, there could've been more kitchen tools. Clean bed linen, cozy bed. Breakfast Good! Location Good! I’ve enjoyed London! Size of bathroom and bedroom is too small. Maybe improve on room lighting. A bit too dim. 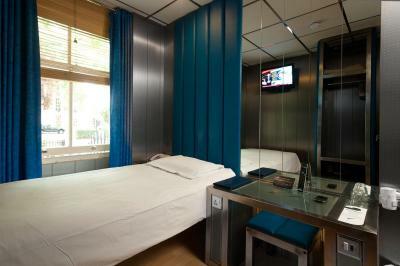 friendly staffs,nice breakfast,clean room, near trains station,restaurants,pubs etc.